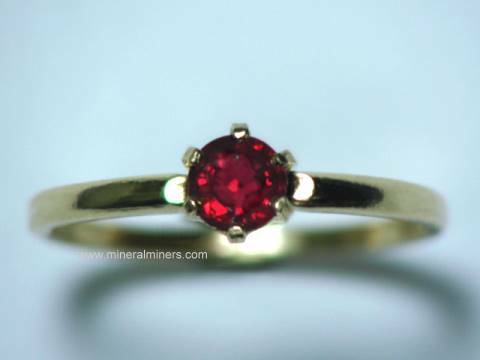 Try our 14k Gold Gemstone Rings Satisfaction Guarantee - compare our prices and our quality. 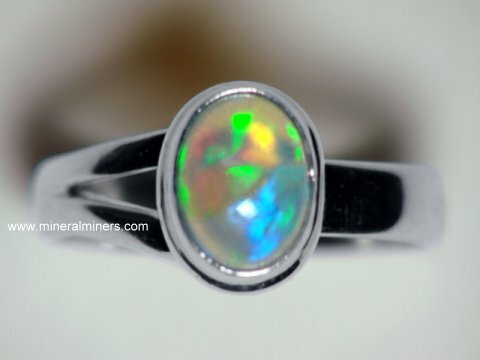 We offer Handcrafted Genuine Gemstone Rings! Our rings are set only with gemstones crafted from natural gem materials! We do not have any simulated or "man-made" gems! 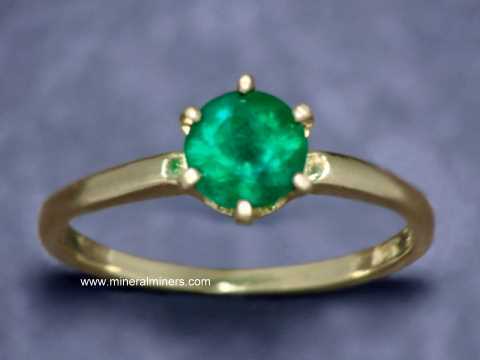 Here at mineralminers.com, we specialze in natural gemstone rings. Each of our rings is unique; the one you see displayed on our webpage is the one you will receive. Our natural gemstone rings are sold and replaced on a daily basis, so do come back often! 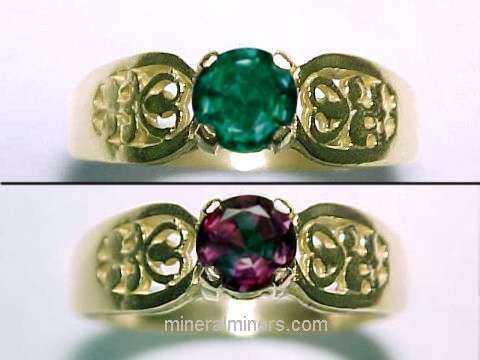 Click on the image at left to see our genuine tanzanite rings, or click on the image at right to see our entire selection of natural color change alexandrite rings, complete with secure SSL on-line ordering. Our genuine alexandrite rings are set with natural alexandrites mined in Russia, India, and Brazil! We have separate pages displaying Rounded Gemstone Bead Necklaces with sterling silver clasps, and a very large selection of handcrafted Faceted Gemstone Bead Necklaces. 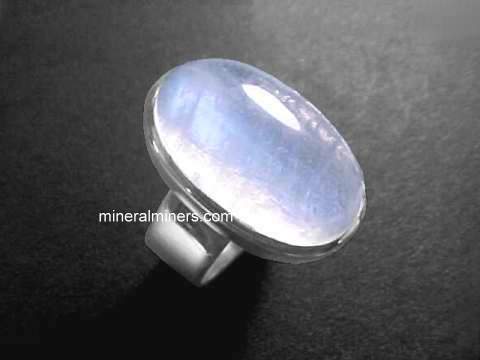 We have in stock genuine gemstones rings available in many different natural gem materials! Our gemstone rings are available with all of the popular & traditional birthstones, and also with some other very beautiful and rare gemstone varieties! 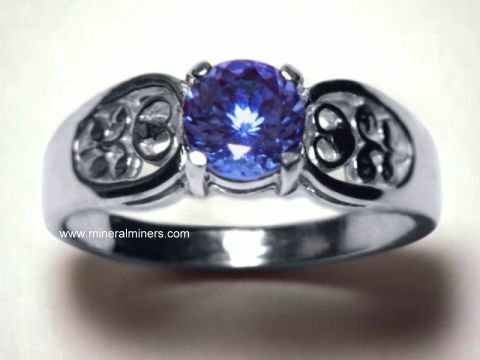 We also have tanzanite rings, blue topaz rings and much more! 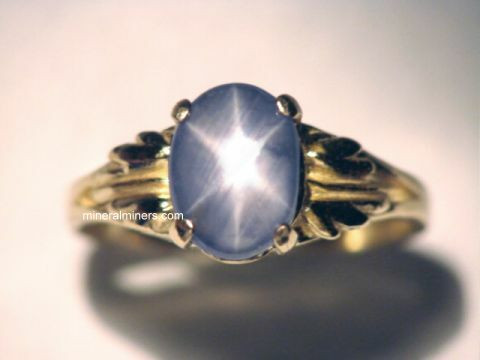 We also offer a selection of unique star sapphire rings. just select one of the links below, or you can visit our Jewelry Index. We have a very large variety of gemstone ring styles available in both white gold and yellow gold, as well as in 925 sterling silver. 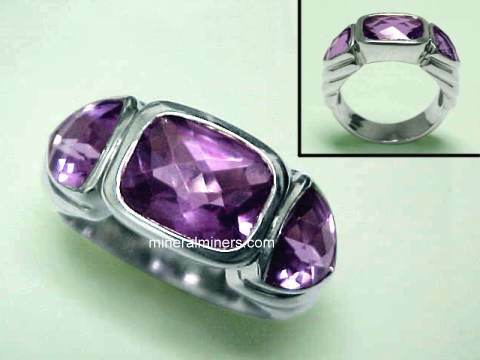 Our selection of natural amethyst rings in sterling silver includes over 30 different styles, and we have many other natural amethyst jewelry designs as well. We have genuine tanzanite rings in both sterling silver and solid 14k gold, and we also offer tsavorite green garnet rings set in solid gold. 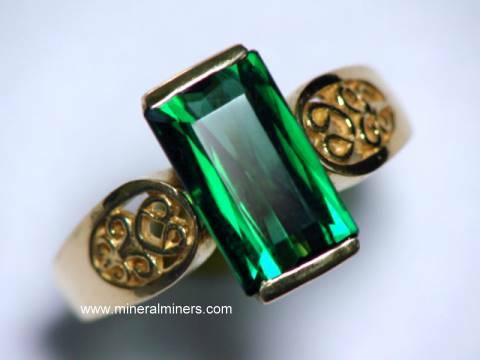 Our selection of natural color green tourmaline rings is available in solid 14k yellow gold and in pure sterling silver designs, and we also have natural moonstone rings available in 925 sterling silver. 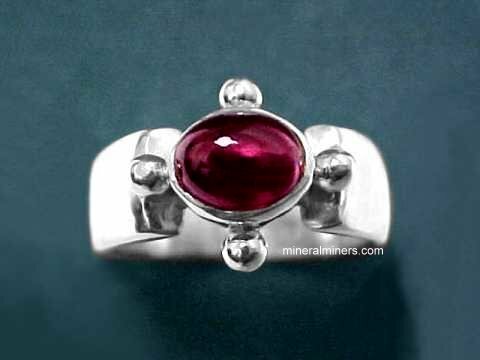 We have a very large selection of natural color pink tourmaline jewelry items in stock, including a selection of handcrafted pink tourmaline rings. See also our natural color sunset tourmaline jewelry with beautiful peach-pink hues, and our natural color green tourmaline rings in all shades from wonderful mint greens to rich dark greens! 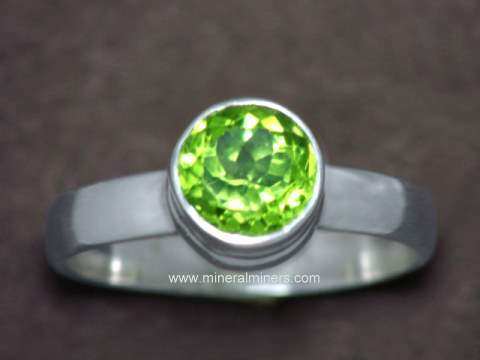 See the links below for a selection of our genuine gemstone rings. 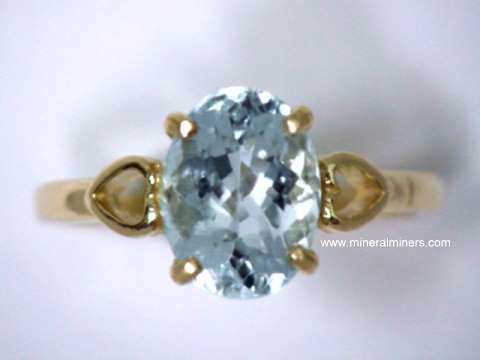 Would you like us to inform you when we add on our website more genuine gemstone rings in both 14k gold and 925 sterling silver? We have a very large selection of natural gemstone rings in stock, so be sure to let us know if you have any gemstone ring requests. Please contact our webmaster or our 'site' geologist with any questions or comments regarding our genuine gemstone rings. We have a page that displays wonderful collector quality decorator minerals and crystals! See also our pages on crystals, mineral spheres & eggs and mineral specimens. 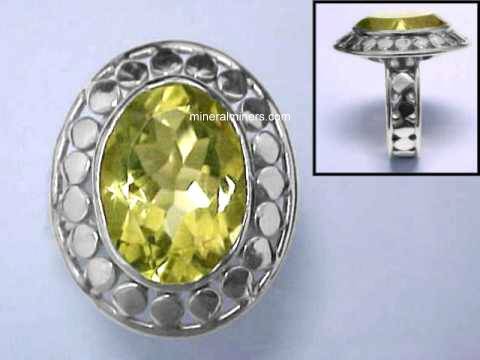 We have a very large selection of natural gemstone pendants & jewelry designs with all natural gemstones set into 925 sterling silver earrings and other handcrafted jewelry designs including unique bracelets, 14k gold earrings, necklaces, and rings. We have many different polished crystals, and for lapidary enthusiasts we have superior grade facet rough and lapidary rough. See our handcrafted mineral gifts, and our spectacular collection of amazing one-of-a-kind decorator minerals and rare collector crystals. We also have a page with metaphysical and new age information.